Wes Anderson is one of the most stylized filmmakers of his generation, with a distinctive look and feel to his films. Does he take it too far? Sometimes. Can his work feel a wee precious? On occasion. But when the man is on his game, he's among the best working today, and the trailer for his next film shows him in fine form. Anderson's last film, "The Fantastic Mr. Fox," was a triumphant return to form for the director, after two disappointing efforts--"Darjeeling Limited" and "Life Aquatic"--which came after the divisive "Royal Tenenbaums" (we were in the anti- camp). And if you've never seen Coppola's first film, "CQ," An homage to '60s cinema starring Jeremy Davies, we highly recommend it. 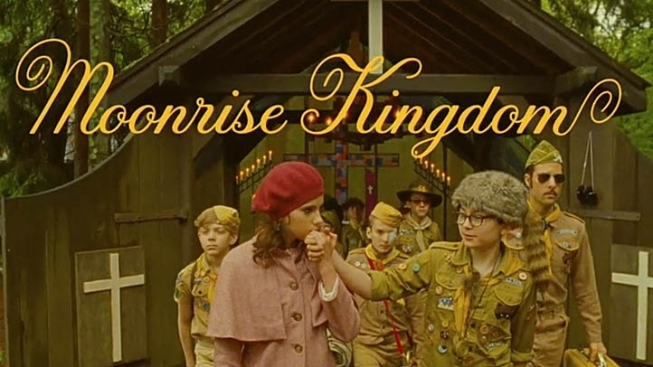 While "Moonrise Kingdom" is definitely a Wes Anderson film, Coppola's aesthetic is very much in evidence. "Moonrise Kingdom" opens May 25.